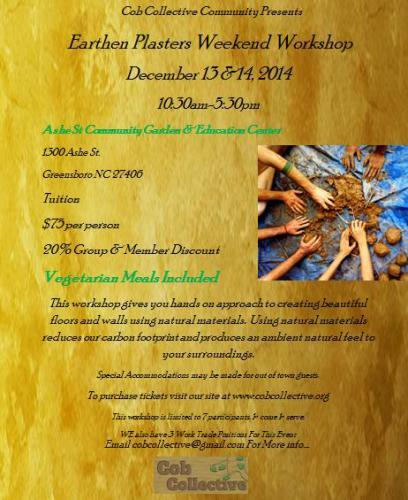 This workshop gives you hands on approach to creating beautiful floors and walls using natural materials. Using natural materials reduces our carbon footprint and produces an ambient natural feel to your surroundings. Special Accommodations may be made for out of town guests. This workshop is limited to 7 participants. 1st come 1st serve.